To communicate with someone it is important to hear what they said. The hearing aid is one of the best solutions for hearing loss. Through that people can hear what they want to listen. So our hearing resource collection will guide you solve all ear related issues that you are facing in your daily lifestyle. Hearing machines are helpful for speech understanding for a person with hearing loss. 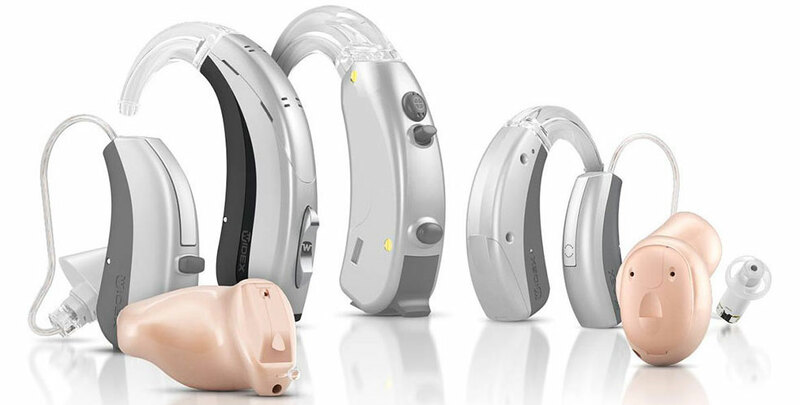 We offer a wide range of different type and style of hearing aids models. Before its affect your health, concern our hearing care professionals to know in brief about hearing aids style, its features and technology. Hearing loss is a partial or total impact to a person’s hearing. It can affect the hearing of child and adults. Aging is not one cause for hearing loss there are many factor that affect your hearing like loud noise, medicine, genetic and more. Understand and treat hearing loss by knowing its cause, symptoms and more. Tinnitus is often called ringing in the ears that damage and loss of the tiny sensory hair cells of the inner ear. It may also sound like ringing, buzzing, hissing, chirping, whistling, or other sounds. This noise in ear basically come from inside your body, rather than from an outside source. Although you are the only individual one who can hear the noise it is not a result of your imagination. Take 2 minutes to test your hearing potential !! If getting any hearing loss indication, you need to see your local hearing care experts. We have qualified audiologist and consultation with medical professional that provide you customized hearing aid models and styles that meets you needs and budget. Find out the speech therapist that is right for you. Speech therapy helps child with language related and skills development learning issues. Knowing the diagnostic testing and treatment that help you to make decision easy. Autism is a lifelong neurological and developmental disorder that affects early in childhood and affect daily functioning. Autism spectrum disorder, characterized by wide variation in challenges with social skills, repetitive behaviors, speech, nonverbal communication and and strengths possessed by each person with autism. Ask your health queries from specialists and get the right information to best use your cochlear implant system to improve your hearing. This is a medical option for individuals with severe to profound sensorineural hearing loss. Browse frequently asked question by entering hearing related topic to find what you are looking for. We will provide all answers the most commonly asked questions about hearing loss, hearing aids and hearing tests. Dementia is a medical term that is used to describe a host of symptoms, characterized by a deterioration in a patient’s cognitive abilities. Hearing loss and dementia are more common as you get older. Scientists have found that a person’s chances of mental decline seem to go up the worse their hearing problems are.The investigators also suggest that hearing loss requires so much ”brain effort” over the years to decode sounds into useful information, that those with hearing loss become more vulnerable to dementia. How tinnitus and hearing loss are related? Tinnitus is the sense of a sound that has no external source. There are many sound reports that: ringing, humming, buzzing, and cricket-like. Many people with tinnitus have experienced some form of hearing loss, so they are often linked together. Anything that can cause hearing loss can also cause tinnitus. It can be a symptom of a more serious disorder, it is important to have an appropriate health evaluation. Tinnitus can arise anywhere along the auditory pathway, from the outer ear through the middle and inner ear to the brain’s auditory cortex. Tinnitus is a symptom of hearing loss and does not cause hearing loss. The two are often related, but there are important differences between hearing loss and tinnitus.